This declaration must be filed with the Assessor of the town where the personal property is located. Declarations of personal property shall be made annually. 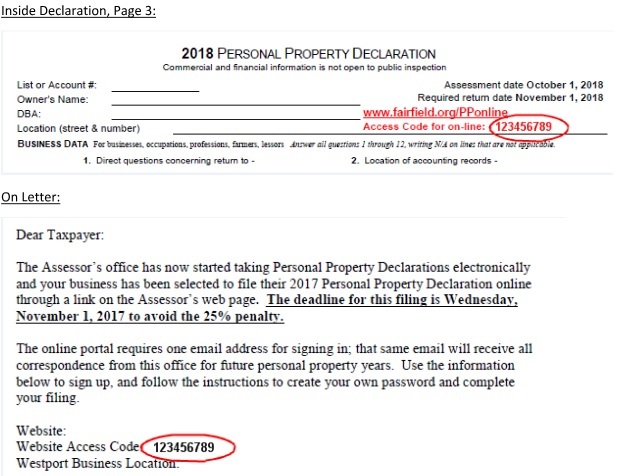 If you no longer own the above noted business or personal property assessed in your name last year, you do not need to complete this declaration. You must, however, return this declaration to the Assessor and complete the Affidavit of Business Closing or Moved or Sold that provides information related to the name of the new owner of the property or the date your business ceased or to where the business moved. (View Sample Affidavit). Otherwise, the Assessor must assume that you are still operating the business and still own and have failed to declare your taxable personal property. This Affidavit of Business Closing or Moved or Sold can be found under the Business Info tab in the menu bar at the top of the page or in the margin to the left. If you have purchased new assets AND HAVE NOT DISPOSED OF ANYTHING since last year, you can simply click on the Add Current Year Assets under the Taxable Assets tab on the menu bar and enter your new purchases. Otherwise, please click on the View Declaration Instructions link below and read the instructions carefully. The period for on line filing has expired. 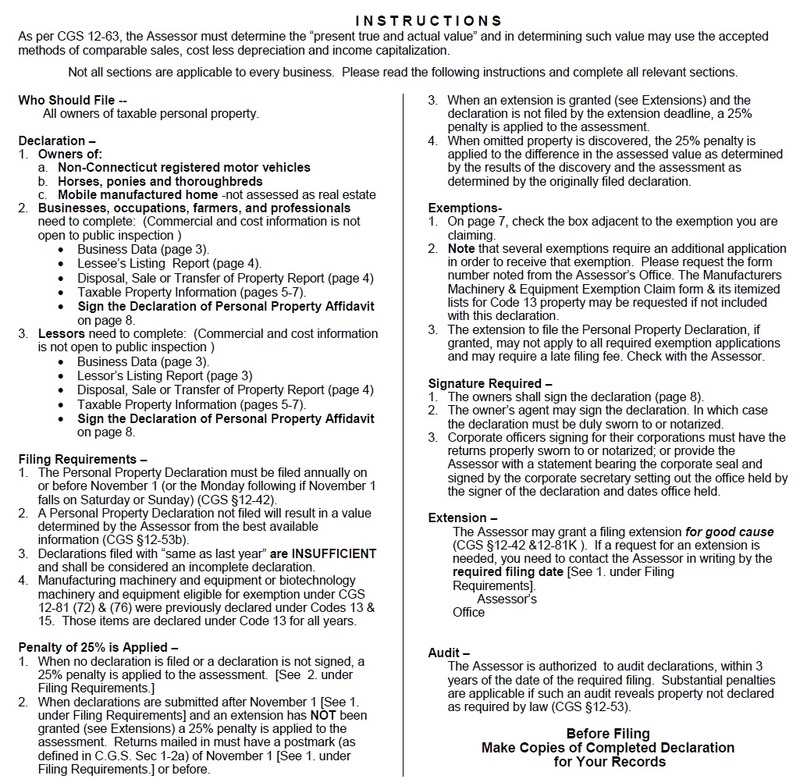 Please use your access code to print the hard copy declaration, to submit to the Assessor's Office. If you are an admin, log in here! If you wish to print a blank declaration form ONLY, fill it out manually and mail it in, please enter the Access Code number and verify the Owner/Business Name as it was provided to you by the Assessor's office and then click Print a blank declaration form button. ACCESS CODE provide by your municipality: See access code example here!